Well, the kit arrived in good time! 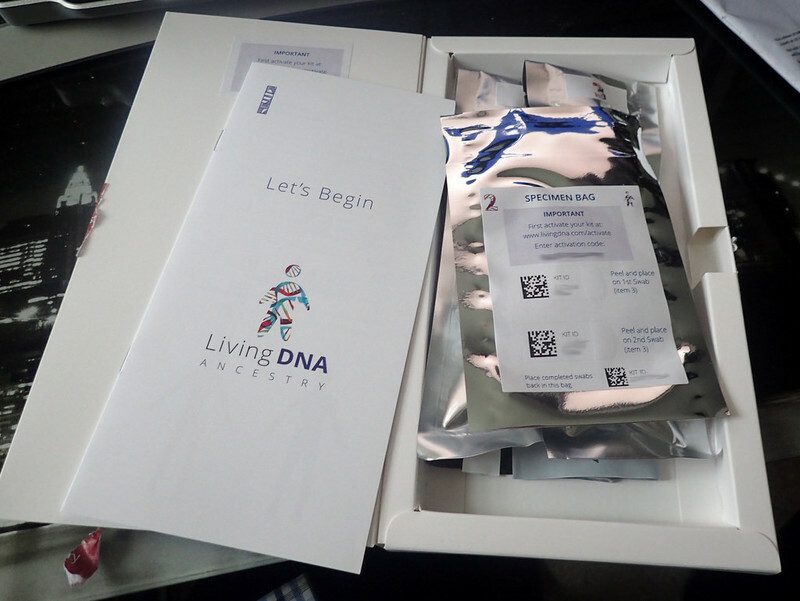 ﻿﻿Living DNA﻿﻿ only just announced yesterday afternoon, on their Facebook Page, that the first batch of kits were ready for despatch - and it was here in Norfolk this morning! Unfortunately, I can't activate it until the service goes live on Friday midday. So I've got to wait a few days. Ugh. I also notice that the return address for the completed sample, is back to their base in Frome, Somerset. So I'm guessing that they'll pile them up until they ship them to the lab in Denmark. Must be patient!